Search Results for "mexican dancer"
UNITED STATES 1950s: A man barges into a group of Mexican couples dancing, he waves his hat and shouts excitedly. Mexican Indian tribes dance in Oaxaca in 1933. UNITED STATES 1950s: A man sleeps beneath a tree. Mexican couples in traditional dress dance to the music of a violin. Seductive Japanese woman in a traditional kimono is flirting with her hands and with her Mexican partner in a butoh dance performance. UNITED STATES 1950s: Mexican couples in traditional dress dance. A Japanese woman in a traditional geisha outfit and a shirtless Mexican man performing as butoh modern dance dancers with slow hyper controlled movements. MEXICO CITY, MEX. 01/12/2018. A girl dancer performs folkloric dance from Veracruz, wearing a beautiful regional typical dress, as part of the cultural activities on the Mexican President swearing. Mexico City, 22/Nov/14. Prehispanic dancers doing a performance in Tlatelolco square, for the 43 students disappeared in Ayotzinapa Guerrero. The mexican government confront a lack of credibility. Freerunners doing tricks on 5th Avenue. Spectators are watching them. 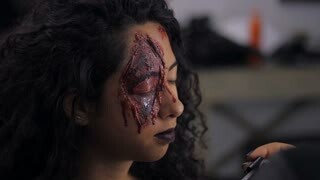 Woman in make-up. Halloween image. Opening of the festival "Polesie Summer with Folklore" Lutsk Ukraine 22. 08. 2018.